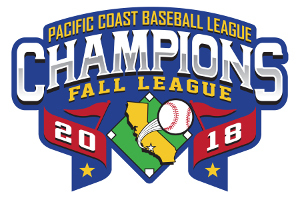 Cool weather finally arrived in Southern California, just in time for the 2018 Fall Midweek Championship Game between the defending champion SFV Pirates and the top-seeded CBA Tigers. The Pirates had both the division MVP and Cy Young award winners on the roster, while the Tigers boasted the biggest runs scored-to-runs allowed differential. Gio Garcia took the mound for the Tigers, and worked around a Sal D'Angelo single for a quiet first. Veteran right-hander Eddie Mercado followed suit, working around a Bill McGrath single to end the first 0-0. More of the same for the next 2 innings, as both hurlers put up zeroes. With 1 out in the top of the 4th, division MVP Steve Montalvo walked and swiped second. Sal D'Angelo doubled (nearly being robbed by a diving attempt in right field), putting runners on second and third. With 2 outs, Rudy Rizo hit a fly ball down the right field line that was dropped for an error (yes, it was an error - not a double!) 2 runs scored, and the Pirates had a 2-0 lead. Back came the Tigers in the bottom of the 4th. Bobby Berumen reached on an error, and Bill McGrath singled. JC Barker was hit by a pitch, and Niko Garcia got the Tigers on the board with a sacrifice fly to center. Paul Frias singled home another, and an errant throw by the catcher plated Barker with the go-ahead run. A wild pitch brought home Frias, and the Tigers led 4-2 after 4. Another quiet inning in the books for Garcia on the hill, and the Tigers were back at it in the 5th. Danny Pimiento led off the inning with a single, and Jaime Dorado was hit by a pitch. One out later, pinch hitter Hector Rodriguez was hit by a pitch to load the bases. Mercado induced a pop up to short for the second out, but walked Isaac Dominguez to bring home Pimiento. Eddie Nava came in to stop the bleeding, but the Tigers extended their lead to 5-2. Fast forward to the top of the 7th, where the Pirates knew they were running out of time to get back in the game. Pinch hitter Leo Alcala singled, but was erased on Steve Montalvo's fielder's choice. Montalvo moved to an error on the back end of the fielder's choice, then to third on a ground out, and scoring on a wild pitch to cut the deficit to 5-3. 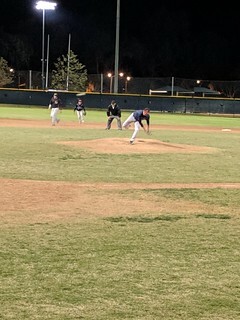 In the top of the 8th, Rudy Rizo led off with a single, and moved to second on a ground out. Chris Serrano came up big with a clutch rbi-single to right, which was booted for an additional 2 bases. 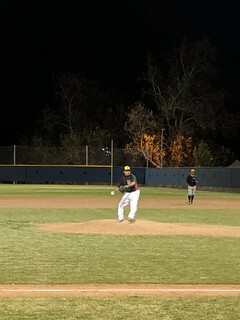 JJ Curiel was hit by a pitch to put the go-ahead run on first, but Garcia struck out the final batter he faced to end the threat. Nava continued to put up zeroes and keep the Pirates in it, but Tigers' closer Felipe Hernandez made quick work of the 9th inning, striking out the side on 15 pitches to bring home the championship. Congratulations to the SFV Pirates on a strong season and an outstanding effort in the big game. 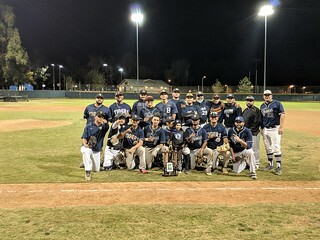 But this game, and this season, goes to the CBA Tigers - your 2018 Fall Midweek Champions! Congratulations to the 2018 Mid Week Fall Champion CBA Tigers!